Alice in Wonderland. . HD Wallpaper and background images in the Alice in Wonderland (2010) club tagged: alice in wonderland tim burton alice kingsley mad hatter white queen red queen cheshire cat wallpaper. 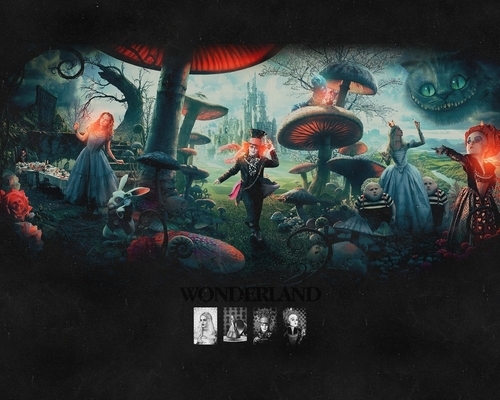 This Alice in Wonderland (2010) wallpaper might contain anime, comic book, manga, and cartoon.